Linda Brouzes graduated from the University of California, San Francisco, with a master’s degree in nursing with a focus on midwifery and women’s health. She also has a bachelor’s degree in nursing from San Jose State University, California. 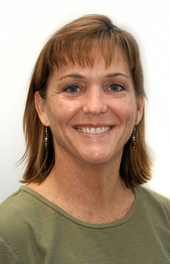 Linda is board certified by the American College of Nurse Midwives. Linda joined La Clinica in 2005 and is bilingual in English and Spanish. She enjoys working with pregnant women and has worked in obstetrics since 1981. She is part of the Women’s Health Center care team. Linda lives with her husband on a cattle ranch outside of Eagle Point. In her spare time, she enjoys anything outdoors.